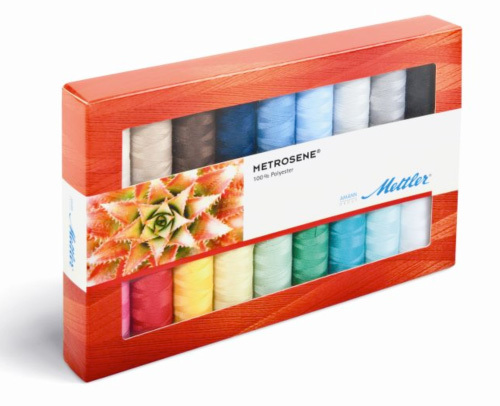 Contains 18 spools of Metrosene All Purpose 2-Ply 40 weight Polyester Thread. 18 164 yard spools. Color numbers 0002, 0003, 0500, 0502, 0536, 0554, 0561, 0600, 0624, 0672, 0703, 0712, 0844, 0847, 0854, 0916, 0959, 0962.